Kids for Kids is recognised as a Charitable Foundation in Sudan by the Humanitarian Aid Commission. It funds projects identified by the communities themselves living in the remote villages of Darfur. Projects are chosen as being the most effective in having an immediate impact on the health and well being of children and for making a sustainable and long lasting transformation in the lives of the whole community. Kids for Kids adopts communities each year, following a strict agreed criteria, with the aim of lifting individual families out of abject poverty and improving the lives of the whole community long term. Projects are devised and agreed by Patricia Parker MBE, Founder of Kids for Kids, in regular Programme Meetings either in Sudan, or, more recently because of difficulties in obtaining visas from the Government of Sudan, in Nairobi or Cairo. 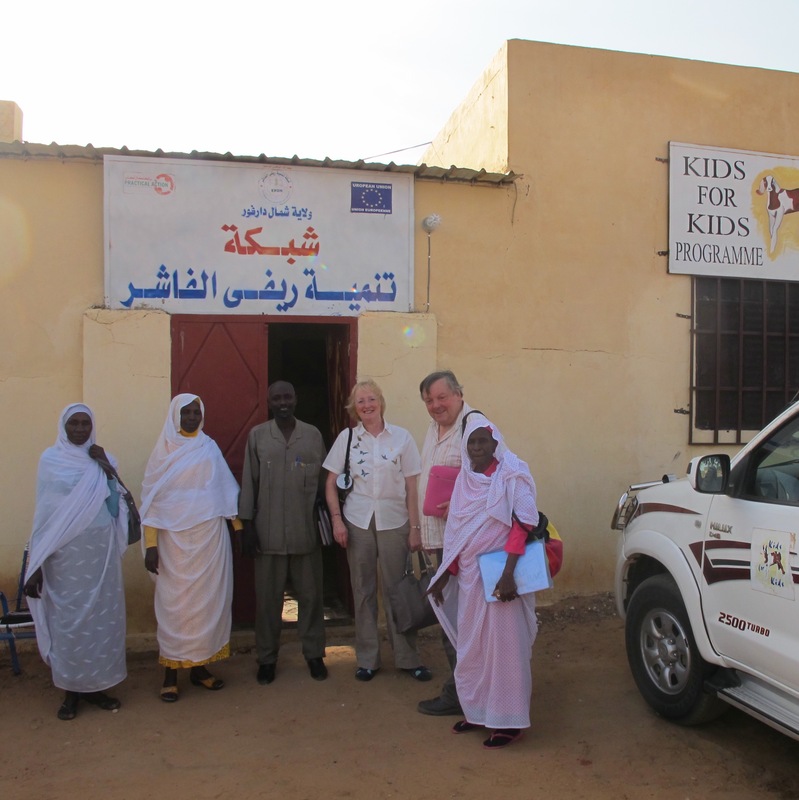 The team in Darfur is in regular contact with Patricia, reporting on all meetings both in El Fasher, the regional capital, and in the villages. Photographs and videos form part of the regular data collection and detailed records are kept of every beneficiary and every item supplied. Strict criteria and control is maintained across all operations to ensure transparency and accountability. Funds are transferred to Darfur only on production of competitive quotations for every project and are signed off both in the UK by Patricia Parker and in Khartoum by Omer Shumeina and Hatim Abu Sineina. Case Studies help to inform all project activities so that impact can be measured and improvements made. The leaders of villages, that are selected to be adopted by Kids for Kids, agree to adhere to The Kids for Kids Project Implementation Manual which sets out the commitment of Kids for Kids and its support to the community, and what is expected of all the village leaders, voluntary committees who run the projects, the volunteers who are trained and of the beneficiaries. Villages that would like to apply to be adopted by Kids for Kids should contact the Project team in Darfur. Projects are implemented and supervised by the Kids for Kids Steering Committee in Darfur.